We’re building foundations at Long Pines Land and Livestock. 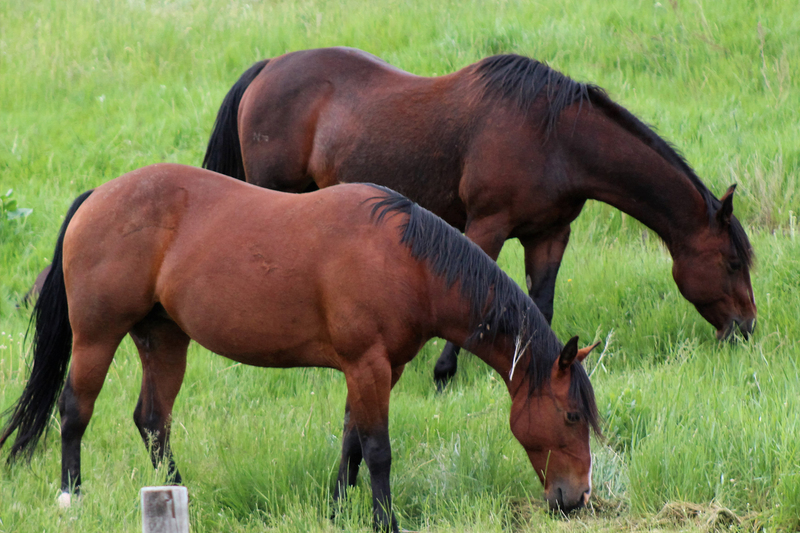 We offer working horses for the ranch or for competition. 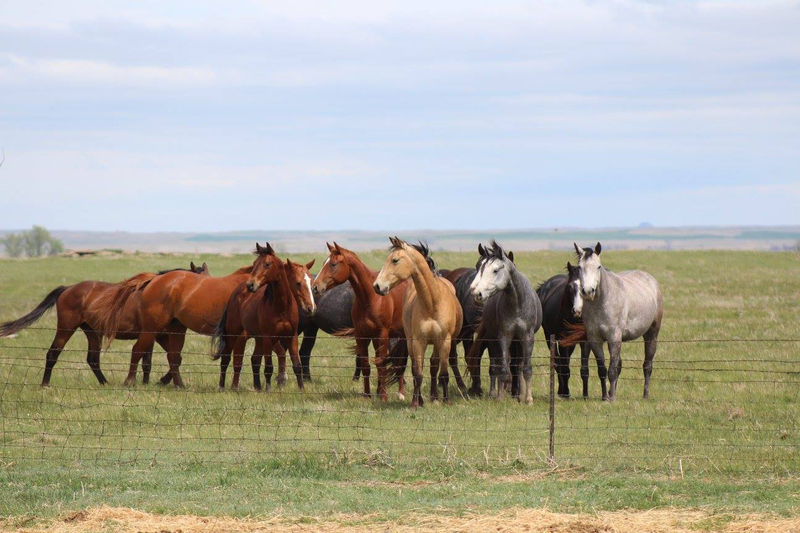 Horses are offered, as weanlings, yearlings and broke prospects – and they’re getting a solid start here, on the ranch. While our horses are backed by proven genetics, the real test comes when they’re put to work out in the pasture moving cattle or in the competitive arena. Only after they prove themselves to us do we consider their progeny worthy enough for you. For us, good quality horses are a family tradition that runs deep. Horses have been a part of our lives for as far back as we can remember. Today, our horses continue to play a key role in our daily ranch work. It takes a combination of talents to make a great horse. We start with legacy bloodlines known for their cow ability, sensibility, speed and agility. 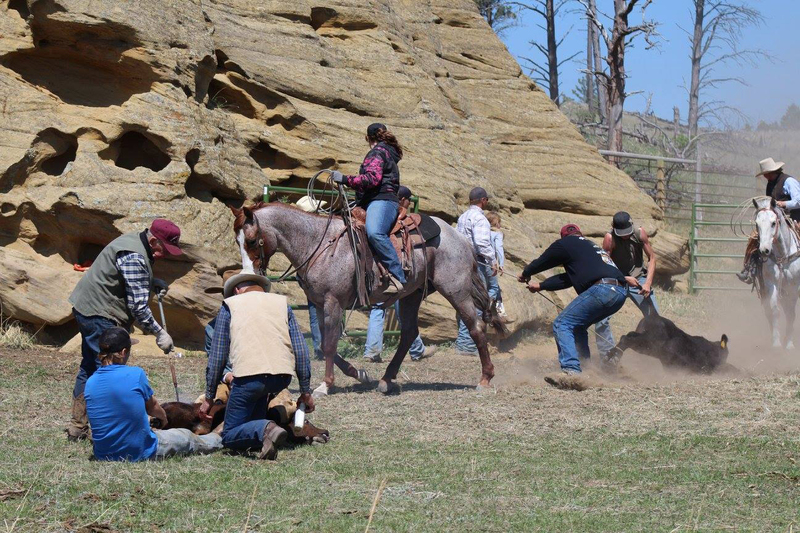 With help from trainers Justin Lawrence and Joseph Ferguson, combined with all the ranch work by Sterling Brown, our horses begin with the basics before learning their job. Long Pines has been named a Ranching Heritage Breeder by the American Quarter Horse Association. It recognizes AQHA’s ranching members who have steadfastly continued to maintain the ranching tradition by raising American Quarter Horses for working cattle. Now, the Ranching Heritage Challenge offers competitions for anyone owning horses bred by AQHA Ranching Heritage Breeders. Classes include working ranch horse, ranch riding, team roping and barrel racing! Learn more here. Long Pines stallions Bettin Yer Smart and Judgemental are fully enrolled in the SDRCHA Stallion Stakes. The foundation of our performance horses begins with our mares. Learn more. Long Pines is home to incredible stallion power that’s producing versatile offspring for use on the ranch or in competition. Learn more. These prospects are in the early stages of training, and showing great potential. Learn more. 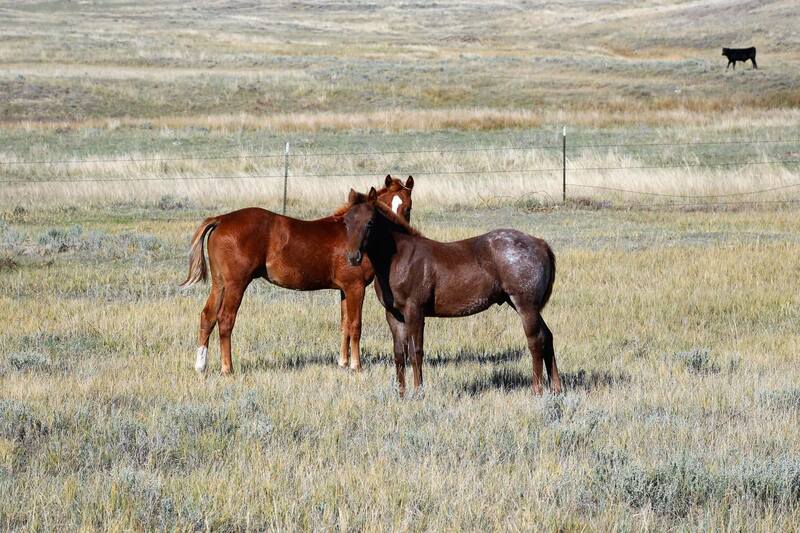 Check out these young foals out of Long Pines stallions Bettin Yer Smart and Judgemental. Learn more.